People with autism have a hard time interacting with others. They often avoid eye contact and resist being touched. Although some people with this developmental disorder prefer spending time alone, it’s still important to try to teach them basic social skills so they can learn to communicate better with other people. You can help people with autism learn social skills by modeling the behaviors you’re trying to teach them. Have a role-playing session in which you guide them through a common social situation. Once you’ve walked them through it, let them try to respond appropriately on their own if possible. You might have to help them out by prompting them if they have trouble responding correctly. Make sure you keep these sessions positive and upbeat even if you start feeling frustrated at having to practice multiple times and repeat things. Write up social scripts that people with autism can use as a helpful guide when learning how to act in social situations. Keep the scripts short and easy to understand. Don’t use abstract wording or implied meanings. People with autism generally have an easier time with concrete language. Ideas for social scripts include starting a conversation and discussing their condition with others if they are comfortable doing so. When the people you’re working with become better at acting out these situations without relying on the scripts, you can stop using them. People with autism usually tend to be visual thinkers. You can help them learn social skills by using pictures or drawings that depict the way they should act in certain situations. You can also try using other types of visual imagery to show them how to behave. Younger children might learn a few social skills by watching carefully crafted puppet shows. Older children and adults can benefit from working with computer-based models that are designed to teach social skills. No matter which techniques you use for helping people with autism develop social skills, you should make sure that they have several opportunities to practice in natural settings. Learning from a script or through role-playing is very helpful, but they need to be able to use these skills in the outside world. Having them practice in a variety of settings can help them become more comfortable with social interactions in general. Don’t force them to practice, though, if they start feeling agitated or upset in a certain setting. This can lead them to form a negative association with being active in social situations. Try having them practice again when they’re calmer. 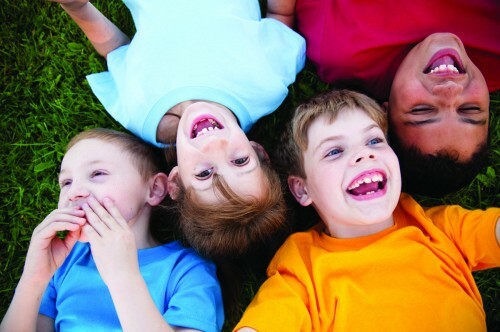 Group settings are an effective way to teach social skills to people with autism. These social groups provide a safe environment for them to work on improving the way they interact with others. Social group activities can help autistic individuals learn how to see things from other people’s perspectives and how to recognize certain emotions. They can also learn concepts such as sharing and cooperation.